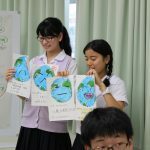 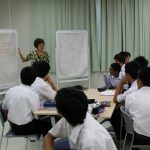 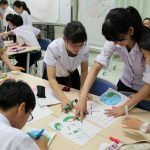 On September 8th (Thurs) Professor Makiko Tanaka from the Osaka Kyoiku University United Graduate School of Professional Teacher Education came and held a workshop with the theme: “Let’s Learn Some Thinking Tools”. 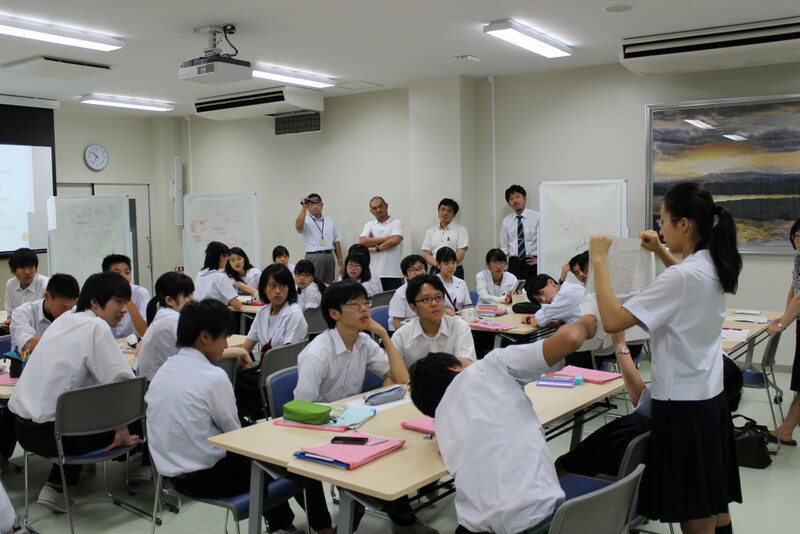 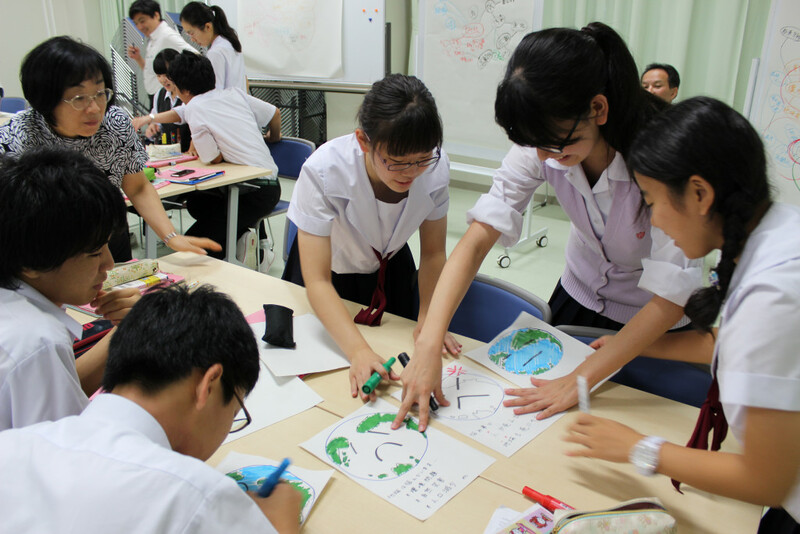 After an icebreaker activity, the professor taught the thinking tools “Brainstorming” and “Mind Mapping”. 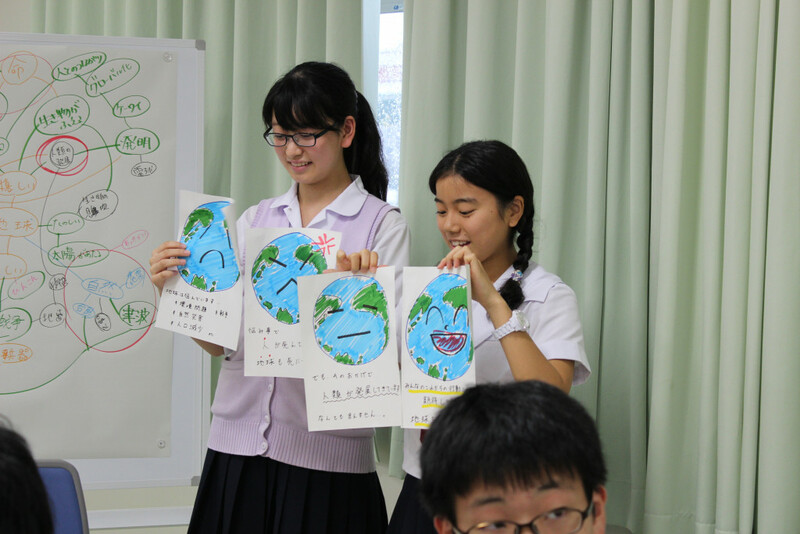 Finally, the participants made earth day cards to summarize their thoughts. 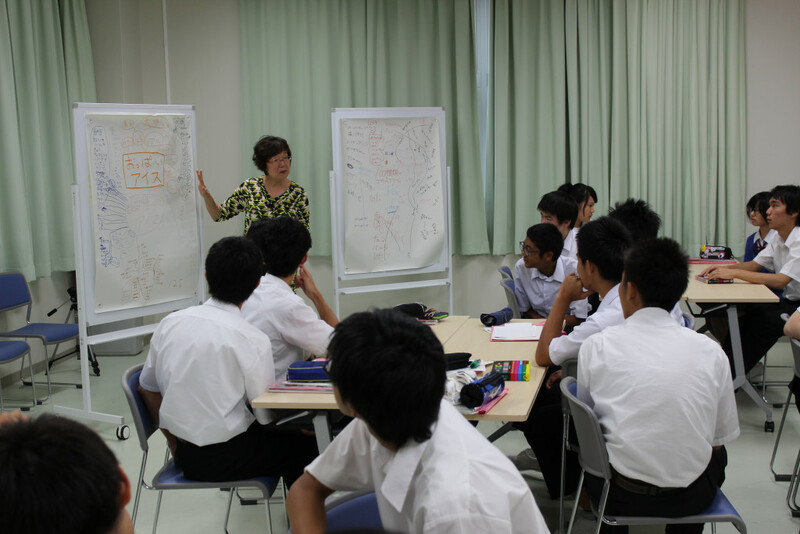 The hope is that the students would utilize these thinking tools when undertaking their project studies.